Retail industries haven’t seen much up and down over many years. People used to do business under one-roof and it was going with almost similar pace over period of time. But in last few years this industry witnessed sudden changes than expected. The revolution of web pages was like miracle for these industries. The pace, style, and revenue of this business changes at sudden with web pages. The business which was limited to under a roof became global. It expanded the boundaries of the business and retailers were happy with this technological miracle. But lots more are waiting for them. Yes, I am talking about evolution of mobile apps. The mobile apps were so powerful that businesses started to skip web apps and entered into mobile app world. The most prominent were grocery businesses. They have experienced an exponential rise in revenue that was never witnessed by this business in the past. In just one year i.e from 2016- 2017 this industry has witnessed 75% of market growth. It is expected that by 2025 the revenue of this industry will be three times of today. A Grocery apps look like a typical e-commerce app but at developers level there are lots of difference between these two apps. The coding is different, functionalities are different, and features are different. 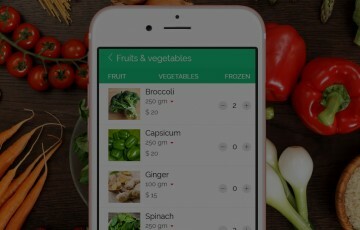 So Grocery apps are a type of unique app which is developed specifically. Why Grocery app based services? This is the most common question and important question that business owners want to know. And this same question covers 75% of doubts regarding app based businesses. The market of consumable goods like grocery is very different from other markets like electronics, services, books, restaurant etc. Grocery is basic need of an individual and one can’t survive without it. People need a constant supply of grocery. But today, hectic life schedule of most of people are real problem. People often get time for this kind of shopping. Mostly people used to buy groceries at holiday i.e on Sunday. But now people have Grocery apps. They can now buy it from their home with just some clicks and get delivered at their door steps. 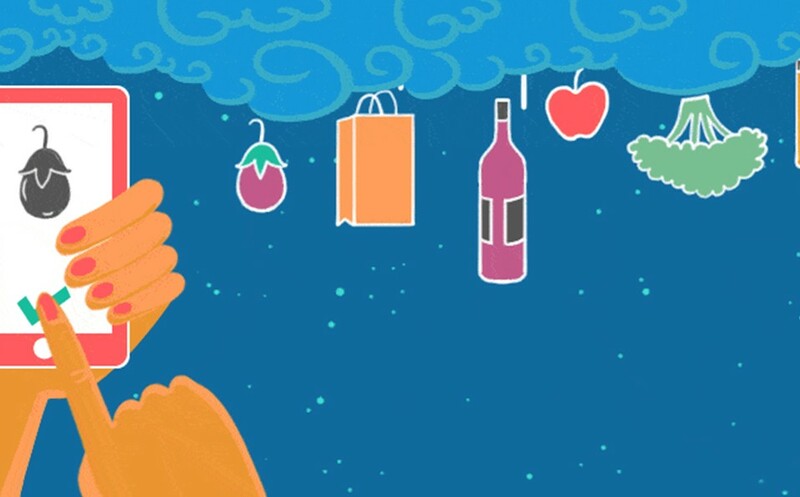 Another reason why Grocery app based services? The lines between the digital and physical world are unclear. Consumers are experiencing comfort level with grocery application. Now consumers can get their groceries at their door steps with just a few clicks. Discount coupons This is one of best marketing strategy on app based services. Special discount coupons can be sent to customers by push-notification feature and shoppers can avail amazing discount on groceries you are providing. These coupons force shoppers to visit again and again on your application. It is fact that no one likes to wait and especially for their groceries. So you can facilitate customers by letting them know about status of their order and that’s what order tracking system does. Now consumers can track their orders on the application and can know expected time of delivery, where is their package, how much time it will take? They can schedule delivery according to their convenience. There are other lots of features which are so awesome to run a business perfectly. But margin on consumable goods especially groceries are slightly lesser than that of non-consumable goods. So it is a challenge to manage the margin-profit with shipping or delivery costs. Local grocery shops can be a big competition in this business. But competition is everywhere, right? You have to apply smart business strategies to tackle these kinds of problems. The plus point is you have an app which comes with amazing features and will save all your extra efforts.